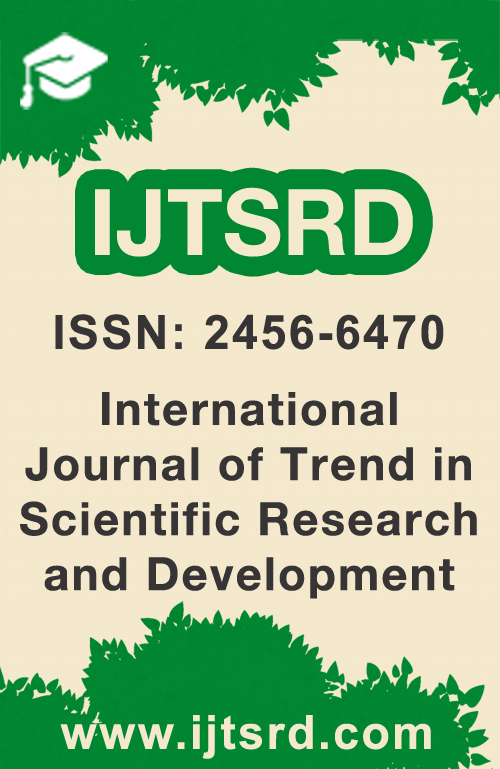 International Journal of Trend in Scientific Research and Development - IJTSRD having online ISSN 2456-6470. 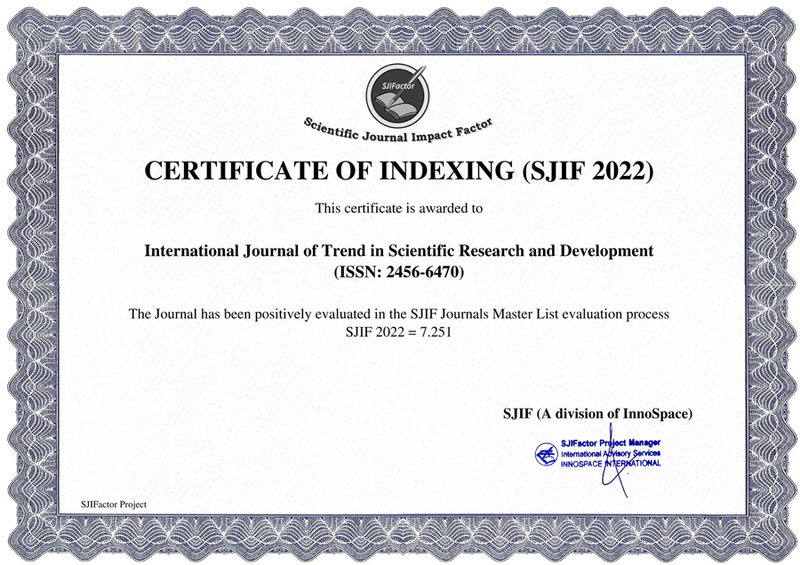 IJTSRD is a leading Open Access, Peer-Reviewed International Journal which provides rapid publication of your research articles and aims to promote the theory and practice along with knowledge sharing between researchers, developers, engineers, students, and practitioners working in and around the world in many areas like Sciences, Technology, Innovation, Engineering, Agriculture, Management and many more and it is recommended by all Universities, review articles and short communications in all subjects. IJTSRD being a part of eco friendly community promotes the e-publication mode by publishing all its journals through regular subscription of IJTSRD ECO Journal. Provide Certificate to all authors and many more..!